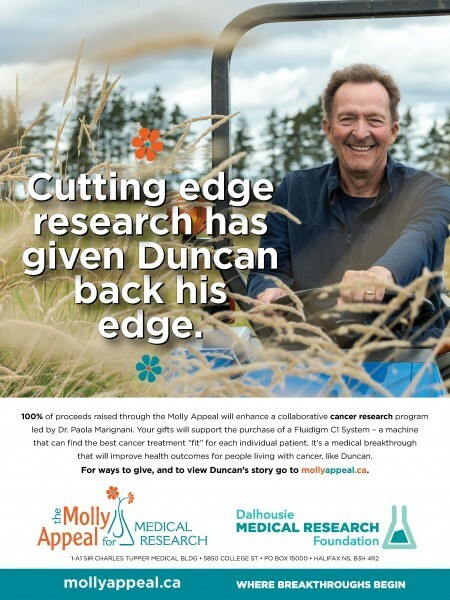 The 2017 Molly Appeal was dedicated to collaborative cancer research at Dalhousie Medical School and its affiliated teaching hospitals. We are pleased to be working with Dr. Paola Marignani and a team of over 15 astounding medical researchers, for this year's Molly campaign. Advances in research will lead to better diagnoses and treatments for patients with many types of cancer. Please give generously to this year's Molly Appeal and help researchers who are working to understand the complexities of cancer and provide personalized precision care and improved quality of life for patients and their families. Meet more of our Cancer researchers.